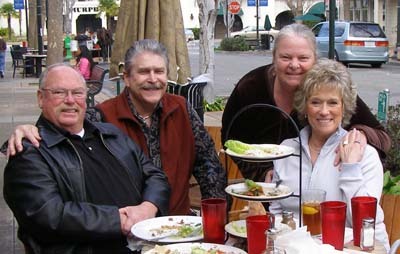 This was a day for four alumni to visit and eat some great Turkish food. 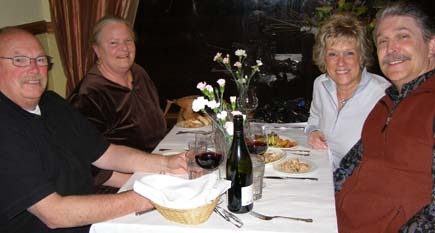 Dave Nanney 61 and Anita Donohoe 66 stayed with Kay Duncombe (Millette) 62. Art Walton 60 drove across the Bay to spend the day with them. 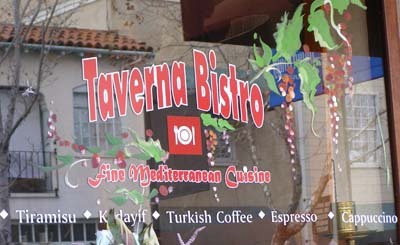 They met at Taverna Bistro, which serves Turkish food, and spent the rest of the afternoon at Kay's. Enjoy their adventure below. 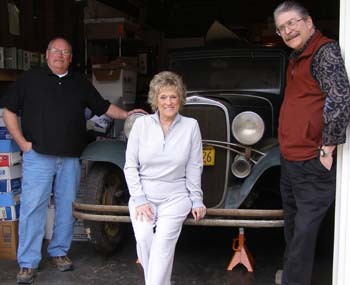 Art Walton 60; Dave Nanney 61; Anita Donohoe 66; Kay Duncombe (Millette) 62.
with Kay's 32 Chevy. There was some discussion of Art hauling the Chevy to Chris White 60 in TX so it can be restored. 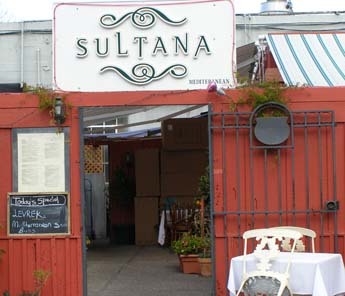 They dined in the evening at a new Turkish restaurant in Menlo Park recommended by Ahmet Toprak, director of Turkish Radio Hour in the San Francisco Bay Area. Anita ordered Beyti Kebab. The kebab is a mixture of lamb and beef, seasoned with garlic. 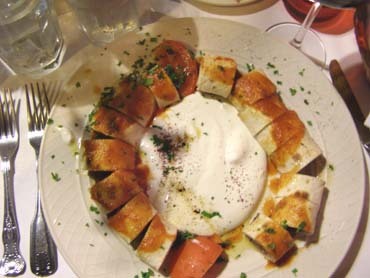 The kebab is wrapped and covered with a little tomato sauce and served with garlic yoghurt and melted butter. Delicious! and Dave Nanney 61 at Sultana.